Fridays 8:30 a.m.—5:00 p.m., Saturdays 10:00 a.m.—5:00 p.m.
For more information, contact Nancy Kuhl at nancy.kuhl@yale.edu. The catalog for the exhibition is distributed by the University Press of New England. Click here to order online. The photographs in Extravagant Crowd: Carl Van Vechten’s Portraits of Women represent only a fraction of those Van Vechten took of women. During his career as a photographer, Van Vechten’s subjects, many of whom were his friends and social acquaintances, included dancers, actresses, writers, artists, activists, singers, costumiers, photographers, social critics, educators, journalists, socialites, and aesthetes. In the artistic and intellectual communities of his day, Van Vechten truly covered the waterfront. Though it would be easy to compile a collection of the most famous and best-loved women of the early- to mid-twentieth century from Van Vechten’s photographs, to do so would misrepresent his project. 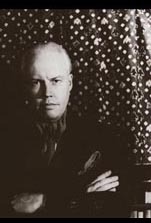 As a photographer—and as a promoter of literary talent and a critic of dance, theater, and opera—Carl Van Vechten was as interested in the cultural margin as he was in the day’s most acclaimed and successful people. This interest in the risky and risqué imaginative fringe, in fact, accounts for Van Vechten’s remarkable ability to recognize and promote some of the most significant artistic figures and cultural movements of the twentieth century. It was his passionate commitment to the arts he valued, however unknown or unfashionable, that led him to become the first serious dance critic in the United States, to bring his white friends uptown to Harlem in the 1920s, and to promote the work of then marginal writers and performers including Gertrude Stein, Nella Larsen, and Bessie Smith. Extravagant Crowd includes examples of Van Vechten’s most familiar subjects as well as those who are now forgotten, women whose portraits are easily recognized even many years after their deaths alongside others who might have been unrecognized at the height of their achievements. That all of the portraits included here are of women who participated in shaping their cultural moment is evident in their lives and accomplishments. 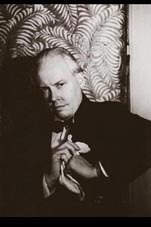 It is a tribute to Van Vechten’s vision and foresight that he recognized their contributions and recorded what in some cases he believed to be their “truest” selves. Extravagant Crowd hopes to honor Van Vechten’s particular genius by taking a wide-ranging approach to the history it illustrates. If we trace a linear narrative through the portraits of the century’s famous and celebrated, we get a skewed representation of the period; such a history is less a portrait of the times than an imagined ideal version of the period. To understand our cultural history more fully, we must consider as many social, intellectual, and artistic elements as possible, what has been forgotten as well as what has entered the cultural canon. This means that in addition to examining the contributions of renowned women and people of color, it is necessary to seek out the work and biographies of those around the highest achievers, those who provide a context and foundation for a more complete understanding of our history. Van Vechten, perhaps, knew something of this; maybe that is, in part, why he made thousands of photographs of hundreds of subjects, knowing that not all, that indeed quite few, would achieve lasting fame. If the photographs collected here give a sense of both Carl Van Vechten’s interests and his considerable role in defining the cultural landscape of the twentieth century, the lives of their subjects offer a glimpse of the range and development of the arts in those decades. More precisely, they demonstrate the diversity of women’s contributions to the period’s artistic and intellectual movements. Behind the cameras and curtains as well as in front of them, and as patrons and advocates, spokeswomen and partners, teachers and activists, the women represented here helped to shape their arts, professions, and communities. As women working in fields dominated by men, at a time when the occupations available to women were limited by societal pressures of various kinds, it is not surprising that the work of many of these women had a political component. Among the women whose portraits are included in Extravagant Crowd were visible and vocal advocates on behalf of African Americans and other minority groups, immigrants, the poor, and women; others made significant political statements simply by the examples of their achievements, their successes in light of bias, prejudice, and cultural and institutional racism and misogyny. The bleak similarities in the lives and careers of many of the women pictured here—the frequency of divorce and broken relationships, the tendency toward actual or figurative exile, the racism that prevented some from achieving their full potential as artists—are evidence of the personal costs they paid as a result of breaking new ground for future generations of thinkers and artists. While some of the photographs reproduced here are among Van Vechten’s most famous portraits, others are being published for the first time. 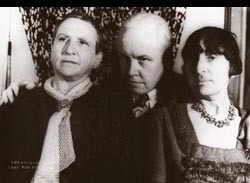 His photographs of Pearl Bailey, Emma Goldman and others are more than just well-loved images; in some cases, Van Vechten portraits has come to be the preeminent pictures of particular women. Thus, Van Vechten has helped to define the ways his subjects will be remembered, the way they will enter history and the popular imagination. On the other hand, some of Van Vechten’s most compelling photographs take virtually unknown women for their subjects. Not often reproduced, these document little-known facets of Van Vechten’s artistic sensibility while demonstrating his significant talent for portraiture. Though they were pioneering and in some cases revolutionary, it seems somehow inexact to refer to Carl Van Vechten and the remarkable women represented here as “ahead of their times.” They were less predictors of things to come than creators of the cultural fabric of their times. That their imprint on the cultural fabric of our times, however subtle in some cases, remains relevant and powerful is evidence of their great achievements.